Throughout China's long history, ancient medical texts provided valuable advice on the subject of health: physical, emotional and spiritual. Isn't it time you made use of this wisdom of the sages in your everyday life? Discover What China has Known for 1000 Years, Self Healing Works! Wouldn't it be nice to stop common ailments before they happen? We can prevent many of them once we have the proper knowledge. This book, Qigong for Treating Common Ailments, provides a system for maintaining overall health while addressing specific problems with exact treatments. All natural, safe, and easy to learn, these exercises provide a life-long path to wellness! This re-edited edition, originally published by a university press in China, is essential for the home health library! Protect & Strengthen the Internal Organs with Qigong Exercises. Improve Circulation and Overall Health using Qigong Massage Methods. Discover a Wide Variety of Breathing and Relaxation Techniques. Easy to Learn and Easy to Practice! Wisdom from the East ...for Living in the West Discover the foundation behind this fascinating system of holistic health based on several thousand years of real clinical experience. Traditional Chinese Medicine (TCM) is a unique, comprehensive, and scientific system, maintaining that the root of a disease must be found, and that a patient must be treated according to their whole being as well as their surrounding natural conditions. Viewing the human as a single, integrated entity that relates with nature, TCM maintains that the human body is affected by any changes that occur in nature, and must be treated as such. Since its beginnings, not only has TCM been well preserved and documented but it has also been continuously developing and growing. Having remarkable curative abilities and few side effects, it is an effective means to prevent and treat diseases and to keep yourself strong and healthy. 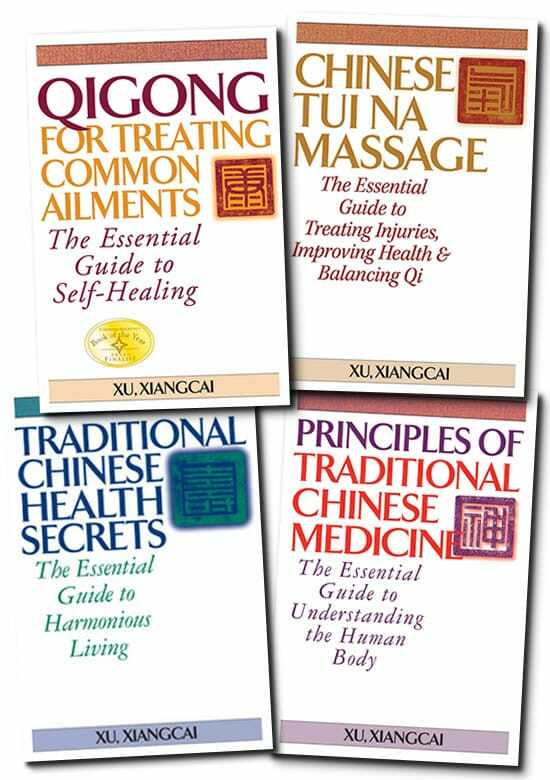 Principles of Traditional Chinese Medicine is systematic, concise, practical and easy to read. Originally published in China, this re-edited edition (the 3rd book in our Practical TCM series) will provide you with the principles of diagnosis, treatment and prevention of diseases. Discover the principles of treatment and prevention of diseases. Learn essential primary theories, such as Yin and Yang and the Five Elements Theory, as well as their use in clinical applications. Discover the foundations for diagnostic methods. Essential for today's alternative health library. Massage is one of the essential foundations of Traditional Chinese Medicine. Tui Na, literally "Push Grab," has been practiced by Chinese martial artists, Qigong practitioners and healers for thousands of years. Specializing in injury repair and curing illness, Tui Na massage can also maintain your health by adjusting your Qi in order to flow smoothly. It will increase your Qi and blood circulation in particular areas or throughout your entire body, removing blockages and stagnations caused by injuries, exercise and/or aging. Tui Na massage is also a wonderful way to relieve stress and recover from a hard day on the job or a tough workout. Chinese Tui Na Massage is systematic, concise, practical and easy to read. Originally published in China, this re-edited edition (the 4th book in our Practical TCM series) provides both theory and practical techniques. Prevent illness by improving Qi and blood flow. Recover quickly from fatigue, aches, and soreness. Repair injuries, relieve stress and physical tension. Ideal for professional therapists, martial artists & anyone with an active lifestyle. Discover and Use the Wisdom of the Sages! There's an old Chinese proverb which states, "Optimism will help you forget sorrow." It is widely believed that an optimistic, stable mood and mental balance calms the body's vital energies and spirit, aiding in the circulation of blood and Qi, thus improving health. Now you can with this user-friendly guide (a re-edited edition originally published by a university press in China). to maintaining your health through Qigong and Traditional Chinese Medicine. Learn to lead a happy, healthy, and fulfilling life — not only for yourself, but for your entire family. Traditional Chinese Health Secrets can show you the way. Includes Easy-to-Follow Remedies & Herbal Recipes for General Health, and Healing Specific Ailments & Injuries. Add Years to your Life and Expand your Mental & Physical Capabilities. Learn to Apply Yin/Yang, Five Flavors and Six Sensations Theory to your Diet. Simple to Practice and Easy to Learn!